One of Clare’s best known Bar and Restaurant establishments has reopened its doors in time for the Easter Weekend, just over two months after some of the worst storms to ever hit Ireland caused widespread damage along the coast. 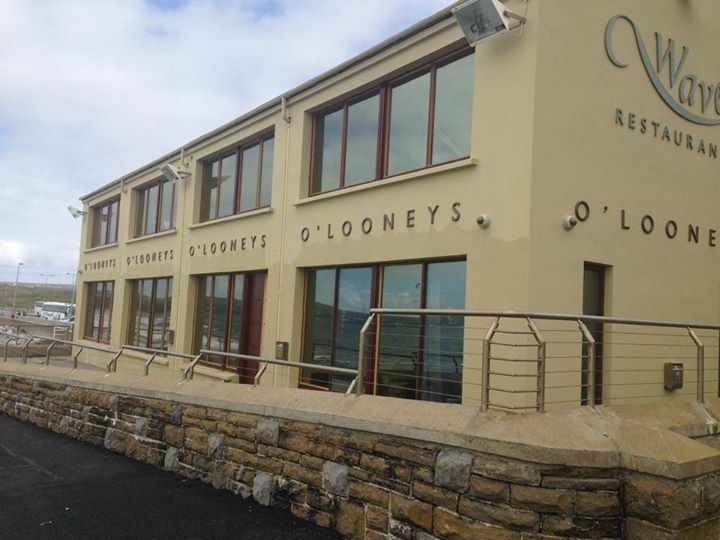 O’Looneys, located on the Promenade in Lahinch, was severely affected by the series of storms between late December and early February but has since undergone renovation works. The business, which has in the past being recommended by Georgina Campbell’s Ireland-guide.com, is well known among visitors to the popular Clare resort. More than 6 million euro of storm damage was caused to the Promenade and surrounding streetscape earlier this year. An initial report submitted to Government by Clare County Council outlined costs totalling €36.8m to repair infrastructure damaged throughout the County.